Following the withdrawal from the Iran nuclear deal, the United States will reimpose sanctions on Iran and is contemplating new penalties. Leaving aside the political consequences of this decision, the reimposed sanctions and new penalties put insurers under immediate compliance pressure to investigate their risks. Another complication might be conflicts between US and European sanctions. For insurers, it will be necessary to consider both their regulatory duties as well as their contractual remedies, be it under sanction clauses or under statutory laws which might entitle them to decline fulfilment of affected policies or to terminate these policies altogether. WASHINGTON — President Trump declared on Tuesday that he was withdrawing from the Iran nuclear deal, unraveling the signature foreign policy achievement of his predecessor Barack Obama, isolating the United States from its Western allies and sowing uncertainty before a risky nuclear negotiation with North Korea. The decision, while long anticipated and widely telegraphed, leaves the 2015 agreement reached by seven countries after more than two years of grueling negotiations in tatters. 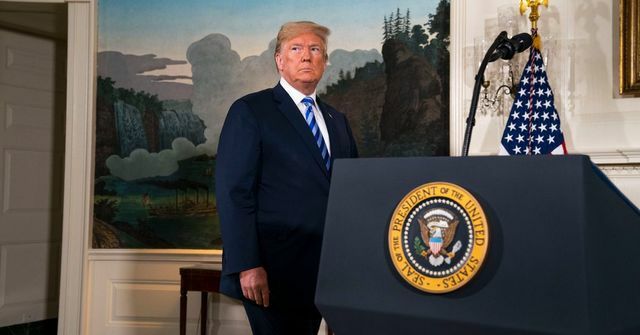 The United States will now reimpose the stringent sanctions it imposed on Iran before the deal and is considering new penalties. Donald Trump has pulled the US out of the landmark nuclear deal with Iran.